Working remotely as part of a small international team, this role will manage Communications for The Celestine Vision. As our organizational ambitions soar, the Communications Executive will play a key role in supporting our Celestine Projects, which currently include: Creating a network of Celestine Visionaries, Book Releases, Celestine Events, and the launching the Celestine Life Coaching Service and School. This core role is open to a highly motivated, dedicated, and stable individual with a background in Communications. The CV Communication Executive will work with all members of our team in order to plan and deliver communications to key groups, such as supporters and volunteers, and will have a working knowledge of website strategies to increase site traffic. The post holder will write, edit, co-ordinate, and publish, communications across various channels, including newsletters and social media. They will also plan and implement communications and marketing campaigns to raise awareness of Celestine Projects, while progressively improving organizational understanding of what works for different audiences. Field external Celestine inquiries, e.g. queries from journalists and CV supporters. Create and implement communications plans for Celestine Projects. Manage the Communications responsibilities held by other members of the CV team. Plan and create communications materials to be sent out via emails, Facebook, Twitter and other social media platforms as appropriate. Help market and communicate events, such as seminars, conferences, and events for the public. Advise on strategies to improve website traffic. Ensure consistent branding is used. Help maintain and build reputation. Assist in recruiting further Communication volunteers as appropriate. 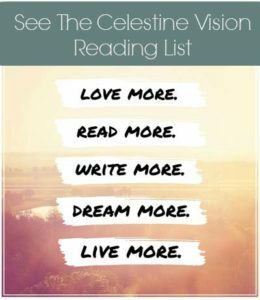 Act as a Celestine Visionary! This is a remote based, volunteer position. You will be able to commit a minimum of 10-15 hours a week. You will provide your own IT equipment to work from. You will be available for conference calls with a degree of flexibility to enable meetings with team members in varying time-zones. You have read at least one of James Redfield’s Celestine Prophecy books. Induction training will be provided as needed.